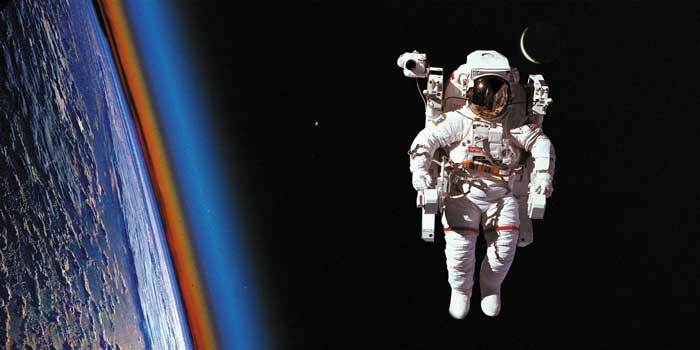 An Astronaut Lost His Wedding Ring in Space! On the second day of the 1972 11-day trip to the moon and back, command module pilot Ken Mattingly lost his wedding ring. It just floated off somewhere, and none of them could find it. Mattingly, perhaps worried his wife would accuse him of some extraterrestrial impropriety, spent his free moments desperately searching for the ring. By the next day, they still hadn’t found the ring. They orbited around the moon for a day and still, it eluded them. They landed on the moon and Charlie Duke and Commander John Young got out. Spent three days on the moon, came back and rendezvoused. On the eighth day of the mission, and Mattingly was still looking for his ring. They started their journey home that day. On the ninth day, the team went out for a space walk. The hatch was open, and Mattingly was floating alongside the ship, tending to a biological experiment anchored on a 10-foot pole. Duke suited up and floated out to check on him. So there they were, floating while really zooming along—Charlie watching the unrushed ring head to its fate in the vast darkness. But as he watched, Duke realized the ring was headed right for the back of Mattingly’s head. The astronaut, unaware, was absorbed in his experiment when the ring hit him right on the back of the helmet, turned 180 degrees, and headed back for the hatch. About three minutes later, Charlie caught it in his big gloved hand. It’s tempting to attribute the ring’s return to the power of love or fate or some higher power yet undiscovered. Maybe Charlie Duke would cast his vote for the laws of physics. Or maybe not. He did become a devout Christian upon return to Earth.